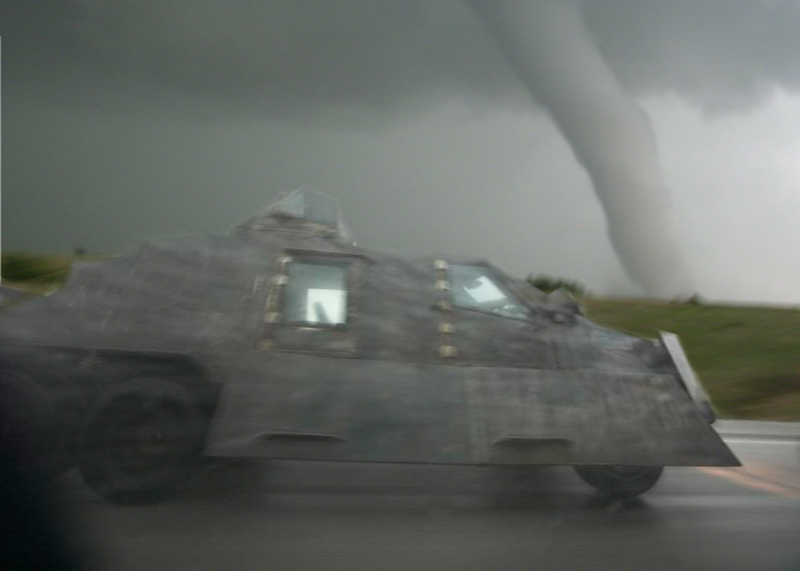 The Tornado Intercept Vehicle, affectionately known to fans of the Discovery Channel show “Storm Chasers” as the TIV, will be at the Cosmosphere on Monday, April 11. A lucky Facebook Fan will win a ride in the TIV through the Cosmosphere’s Facebook Page at www.facebook.com/kscosmosphere, or scan the code below. You can also sign up in the lobby of the Cosmosphere. The Cosmosphere is now showing the movie, “Tornado Alley,” which includes footage of the TIV inside a tornado. Driver Marcus Gutierrez and Meteorologist Brandon Ivey, both of whom are featured in the show and the movie, will be at the Cosmosphere on April 11 from 10 a.m. to 7 p.m. Their appearance is free to the public. Movie tickets are $8 for adults and $7 for children. Gutierrez served as U.S. Navy corpsman and is now a first-class medic trained in trauma, pediatric cardiothoracic surgery and orthopedics. He has provided emergency support for the TIV team, and is the official driver. Hopefully his medical skills will not be needed for the TIV team in the future. 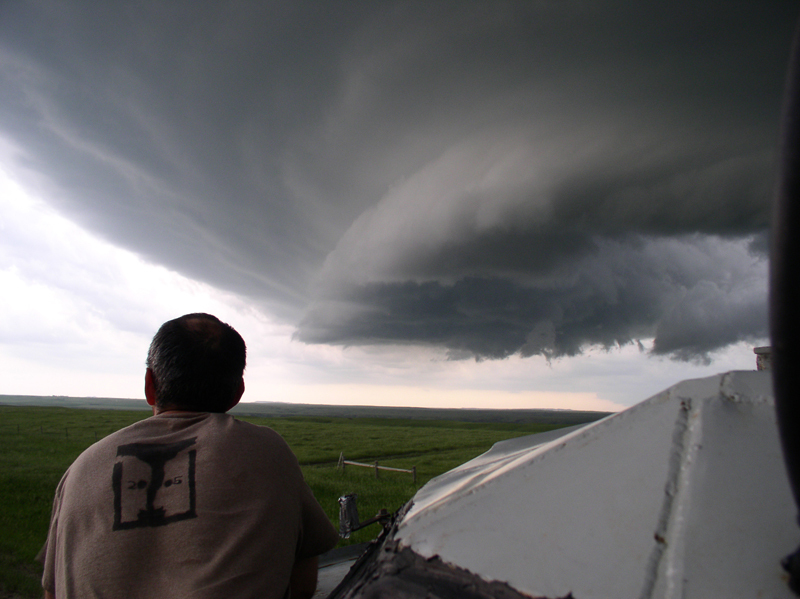 Ivey has been interested in severe weather since age 16, after the April 26, 1991 tornado outbreak in Kansas and Oklahoma. He became heavily involved in the documentation of weather events about ten years later, after much research about storms. He earned his Broadcast Meteorology Certification in 2006 and a year later received a degree in Geosciences through Mississippi State University. 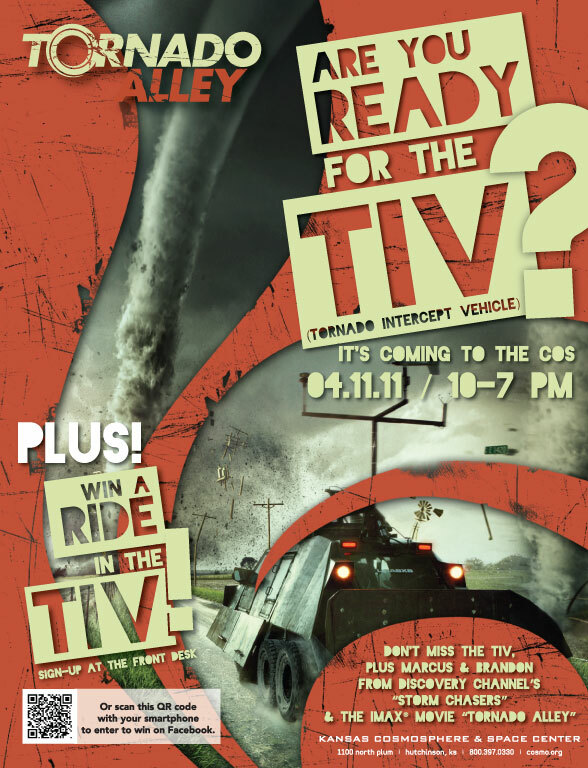 Come and see the TIV and meet Marcus and Brandon on April 11 at the Cosmosphere. Make plans to see “Tornado Alley” while you’re here. How did the event go ?